This is the seventh in our biweekly series from Amy Pennington — urban farmer, founder of GoGo Green Garden, and author of Urban Pantry and Apartment Gardening — on how to start growing your own food, no matter how tiny your garden-to-be is. Today: Amy explains how to become a pro at crop rotations and plant families. For the soil health of your garden, for the productivity of your plants, and for an increased harvest, just plan your garden's year with a few simple principles in mind. Now that your beds are prepped, your seeds are started and your soil is being built up, it's time for the best part of urban farming: planting. Before sowing seed and planting small starts in the garden, it's best to have a planting plan. As we discussed in an earlier City Dirt, you should by now have a garden space ready for planting and your garden wish list. Using the wish list and your map, you can begin mapping out and implementing a year-long garden plan. Here are a few key concepts that are helpful to understand before mapping out your beds. Crops are rotated in gardens (and even in large scale agriculture!) to support healthy soil. By rotating crops through garden beds continually over the seasons and years, you confuse pests, minimize the threat of soil disease, and replenish nitrogen in the soil by planting and tilling in manure. Some crop families must be rotated because they are prone to soil disease -- brassicas (cabbage, kale, broccoli, etc), nightshades (tomatoes, eggplant, potatoes, etc), and alliums (onions, garlic, leeks, etc). And aside from disease, different types of plants use different nutrients. By rotating plant families through the same bed over time, you prevent nutrient depletion in your soil. • "Leaf" family plants (lettuce, chard, kale, etc) draw mostly nitrogen from the soil, to support their leafy green growth. • "Roots" (beets, carrots, parsnips, radishes, etc) use both nitrogen and potassium. • "Flower" and "Fruit" plants use mostly phosphorous and some nitrogen. Phosphorous is what allows strong flower and fruit development. Of course, by planting a mixed bed you further add diversity to the garden, so when starting to map out your beds, keep these plant families in mind. You must be mindful of the position of your beds and how sun tracks across them. This is important, as sun rises in the east and sets in the west. Depending on where you live, the sun will be strongest at a particular time of day -- plant accordingly to accommodate maximum sun exposure on all plants. For example, in Seattle I plant my tallest plants on the eastern-most edge of my beds. As the sun rises and tracks over the bed, these plants will put on growth, in essence blocking anything east of them as the sun sets. Because of this, you don't want to put your tallest plants at the western edge of your bed -- if you did that, they would eventually shade out the rest of it. Make sense? If not, toss a note in the comments. Additionally, as sun sets there is often shade created on the western-most beds due to the sun ducking behind a neighboring house, a tall fence, a tree line, etc. Considering that the eastern-most beds get the most sunlight, you should place your heat-loving vegetables here too -- plants that need sun to ripen fruit like tomatoes, melons, and peas. Back to the garden wish list! Start separating all of your wish list items into plant families. Typically, I make four columns for Leaf, Root, Flower, and Fruit and list all of the plants under them. When you're through, you'll be able to see where there are missing plants -- often people end up with a LOT of Leaf and Fruit plants. 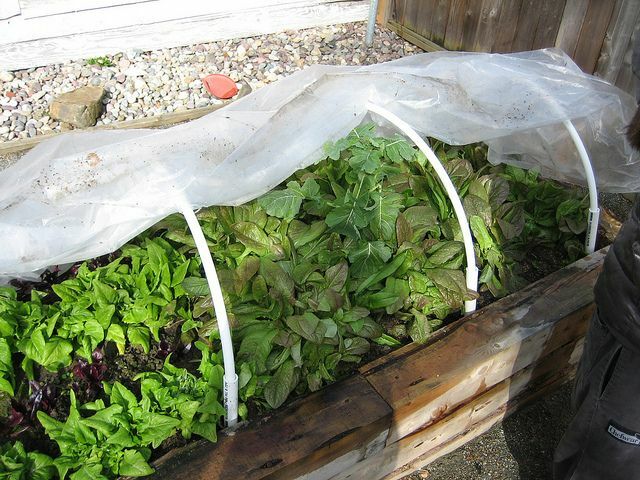 Try your best to distribute evenly so you have variety and don't end up with an entire garden full of greens for the year. Starting with the plants most near and dear to your heart, map out your beds. Put tomatoes and peppers in one bed, lettuce and kale in another, and so on. After you've placed all of the plants, go back through and designate their sow or transplant dates. This will help you discover if you're able to put something in the beds sooner. Here's an example: in Seattle, I transplant tomatoes into the garden on June 1st. This means that I have an open bed space from April through June, about three months. Following the plant family rotation, I should plant a row of beets and lettuces now. This satisfies Leaf and Root, leaving Flower and Fruit (tomatoes) for a June sowing. To fill in a June flower, I would pick Chrysanthemum -- a delicious green and gorgeous flower -- to plant next to the tomatoes. Just like that, I have a natural crop and plant family rotation AND I'm maximizing my beds across two growing seasons. From here, plan what you'll plant after your tomatoes are harvested in August/September. In September, you can plant another bed full of leafy greens -- kale and arugula do well in fall, or opt for a green cover crop like rye or vetch to replenish soil nutrients. 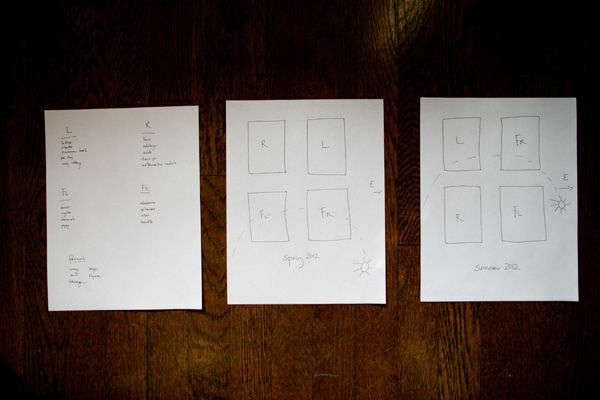 The first time you map out your garden will be a bit of a brain bender. I know that it reads as confusing now, but this is truly all of the information you'll ever need for successful gardening. 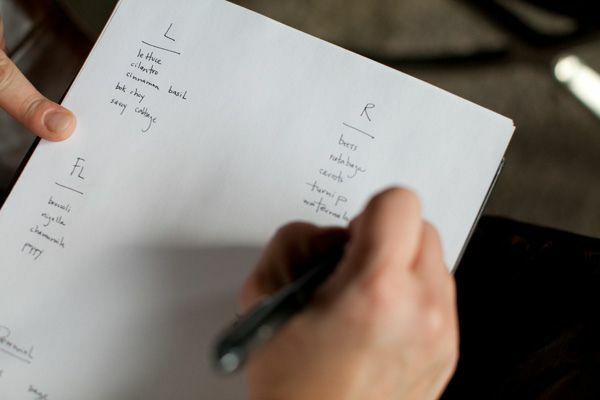 If you take two hours this spring to map out your year, you'll never have to think of it again. You just follow the plan and you're golden -- I'm looking forward to all of your comments and questions! Once your map is made, it's time to start planting whether by seed or start. My hunch is you'll have questions on that, so stay tuned for the next edition of City Dirt where we'll discuss just how to sow a seed, a variety of sowing strategies, and when to invest in a plant start instead. What a great skill you have! I have a garden in my Frederick, MD backyard that I've been working with, though as a new grower, I'm just getting a handle on planting spinach, lettuce and radishes in the fall, and tomatoes, peppers and herbs in the summer. The idea of planting a root vegetable scares me! Thanks for your insights. YES!!! 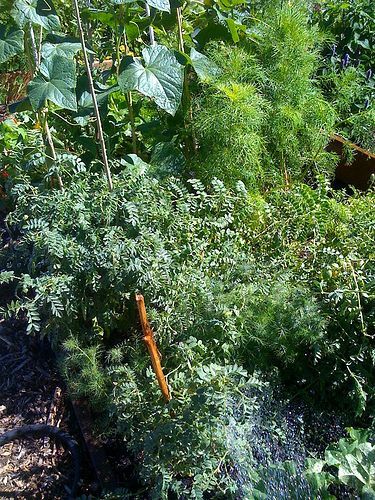 Plant something after the tomatoes, even if it is only a green manure or cover crop. Cereals (rye, peas) do well or vetch/clover. Also, organic practices suggest leaving six rotations before planting tomatoes in the same spot as they are prone to soil disease. You may want to move the tomato bed entirely this year, and plant three other crop rotations in there. I'd do that! Thank you for this informative post. Nowhere else have I seen this simple and clear recitation of what nutrients different plant families use. 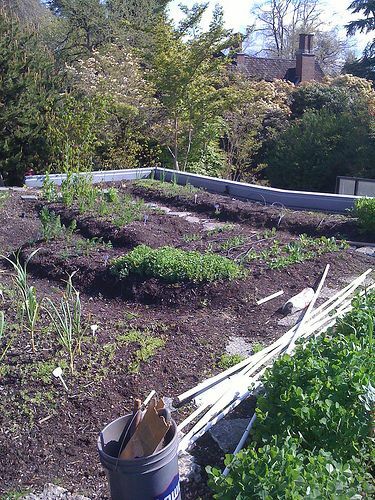 For the last several years I have been growing vegetables in raised beds, using an intensive square foot-type approach. While this has worked very well (no weeds, high yields, rarely any pest problems) it does tend to complicate rotation schemes, since you almost always have different plant families growing adjacent to each other. One tool that has helped me is the garden planning program from GrowVeg, which is available for a small subscription fee from a number of seed companies. It highlights the places on your plan where you planted a given family member the preceeding year so you can rotate more effectively. I'm sure there are other programs that do this as well. Fabulous article here. Makes perfect sense to me and loaded with good tips. Looking forward to next article on seed planting. Companion plants: Marigolds keep bugs off my tomatoes! I plant one or two around the base area om my toms. Marigolds also make lovely muffins, and if you chop the petals, you can mix them with chopped almonds and honey into butter! 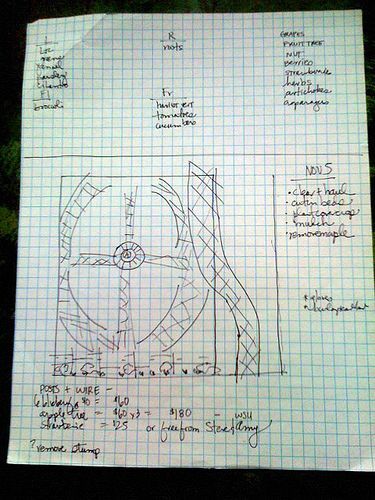 I found that it was much easier to plan my gardens when I used cut-outs from graph paper to plan the layout. 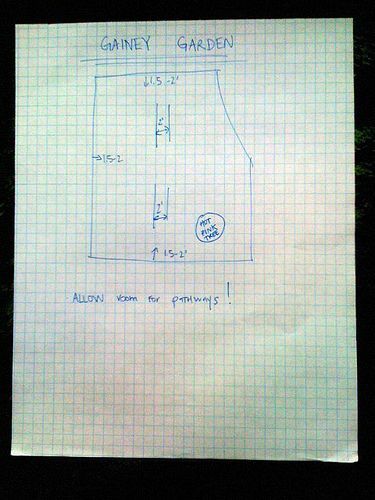 I am using a pretty intensive planting scheme, so I created very detailed plans. Check out the picture at the bottom of the page for an idea of how planned-out my garden is! Agreed! I use nothing but graph paper - it's very helpful. Thanks for the link! To plan the bed arrangements, I cut out blocks of graph paper for each vegetable, then rearranged it on the garden, until I found an arrangement that fit everything I wanted. It took some time to measure and cut out each block, but the frustration and erasing that it saved me is unimaginable! I need to be more thoughtful about rotation - I do try to put leafs in the winter where tomatoes / peppers / eggplants go in the summer (incidentally, ours go in the ground in MARCH!) What about letting beds rest? I have one that is a tomato bed in the summer - after I pulled them last year I composted 2-3 times but did not replant until this spring (with tomatoes again). Does that also help it replenish and keep the pests at bay? Will you be doing an article on companion plants (please :-) ?